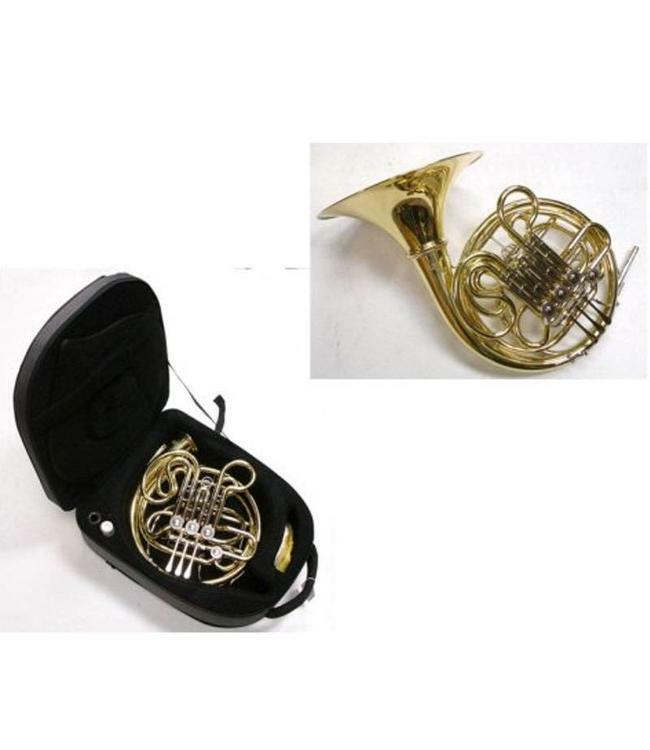 Dillon DMB-FH-CB is a Kruspe style yellow brass F/Bb double French horn. Clear lacquer finish, screw bell of 12.5” flair, 472” bore valve section, nickel silver leadpipe, nickel silver trim, and engraved nickel silver valve caps. Horn is equipped with both an adjustable flipper and adjustable pinky hook. Comes with carry-on backpack style case and a mouthpiece.